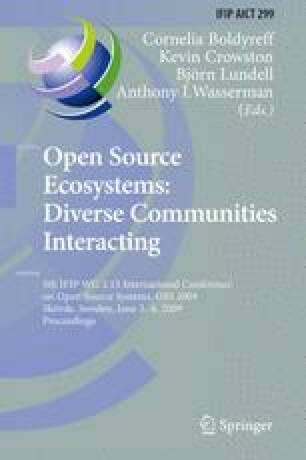 This paper presents a novel method and algorithm to measure the size of an open source project’s user base and the level of potential user interest that it generates. Previously unavailable download data at a daily resolution confirms hypothesized patterns related to release cycles. In short, regular users rapidly download the software after a new release giving a way to measure the active user base. In contrast, potential new users download the application independently of the release cycle, and the daily download figures tend to plateau at this rate when a release has not been made for some time. An algorithm for estimating these measures from download time series is demonstrated and the measures are examined over time in two open source projects.